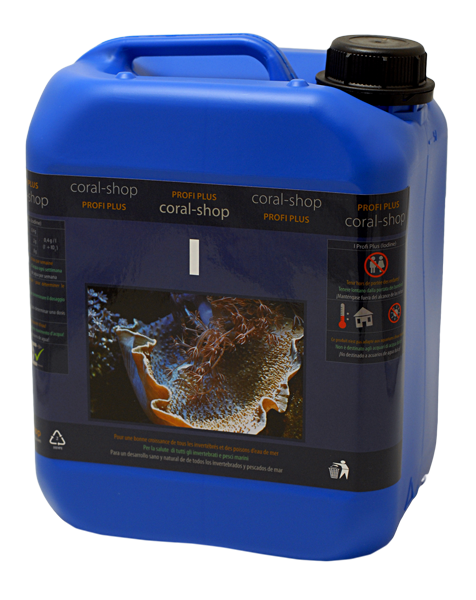 How to dose coral-shop products? A Always use corresponding test kit to learn actual concentration of active substance (unwanted matter in case of removers) and make yourself familiar with any instructions mentioned on product label or in eShop product specification. 1 Open the corresponding calculator in Support - Calculators section on this site and calculate the required product dosage. and from product active substance concentration. and from product removing capacity for given unwanted matter. 3 If you use any product for the first time, it is a good idea to take the check measurement of active substance concentration (unwanted matter concentration in case of removers) after a couple of hours. B If you do not have corresponding test kit at your disposal, the use of any product is problematic and always risky. If you apply the product after all, never exceed corresponding dosage! The same rules as for the Testable Products apply. If Ca-reactor is NOT implemented, the use of product requires subsequent application of KH-Buffer Profi Plus. Test the concentration of Magnesium (Mg) and Iodine (I) in tank. If both elements show some depletion, calculate proper dose manually from ascertained depletion of Mg and from Mg concentration in product. If one element shows considerable depletion, while the concentration of second element is correct or even higher than that, do not use the product. If Mg only is depleted, use Mg Profi Plus (Magnesium) instead. If I only is depleted, use I Profi Plus (Iodine) instead. Follow the instructions for Testable Products. If you do not have corresponding test kit at your disposal, the use of product is problematic and always risky. If you apply the product after all, never exceed corresponding dosage! Test the concentration of Strontium (Sr) and Boron (B) in tank. If both elements show some depletion, calculate proper dose manually from ascertained depletion of Sr and from Sr concentration in product. If Sr only is depleted, use Sr Profi Plus (Strontium) instead. If B only is depleted, use B Profi Plus (Boron) instead. Instructions for Non-Testable Products are fully applicable for this preparation. Nevertheless, using CS TEST Organics test kit might provide great help when drawing a proper dose. If you use the product for the first time and your tank is not highly populated above standard, use as a starting amount only 50 or 25% of recommended dose. Regularly watch the tank and animals behaviour. If one or more above mentioned problems appears, reduce the current dosage on 50 or 25% or do not use the product at all for some time and wait until situation improves. This may take even couple of weeks due to the metabolic reserves which algae and cyanophytes creates. If there are no overdosing indications mentioned above observed about 2 weeks after 1st product application or after most recent dosage change, the dosing amount can be gradually increased in 14-days intervals up to the recommended dosage. Recommended dosage can be exceeded in case of heavily populated tanks. Fixing of ideal dosage, stable in the long term, is in case of Not Testable Products always the matter of an experiment. Nevertheless, none of the product in this group is pronouncedly harmful. Even if overdosed - if not long-term - the risk of animals die is neglectable.